Sometimes you're using the same page(s) with fields and their binding in multiple projects. Or you're duplicating a sub-tree of nodes multiple times in the same project. 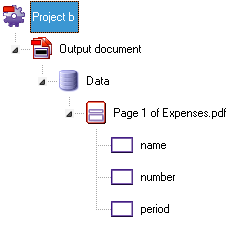 In these situations you can better create a subproject for those nodes that are duplicated or re-used. 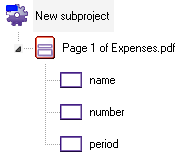 Then include the subproject in the main project. A subproject can contain any node, but when a subproject is included in a normal project, the overall structure of project (with included sub-projects) should still be valid. 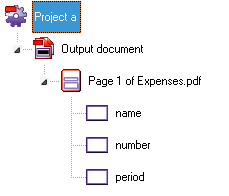 The following projects use an identical page and fields within that page. Also, all properties of the page and the field nodes are equal.